I’ve been really impressed by the number of emails I’ve received by people who are keen – eager even! 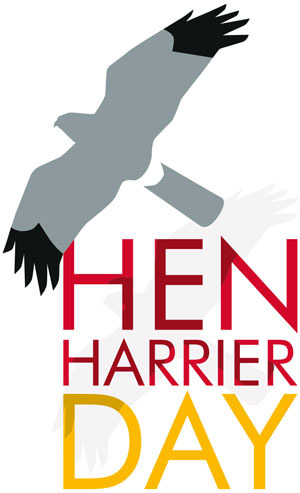 – to participate in a peaceful protest against Hen Harrier persecution. Over 200 people have contacted me, some promising cars full of supporters, and emails still arrive every day. There is clearly real enthusiasm for expressing our anger and sorrow at the illegal persecution of birds of prey. The day to keep clear is Sunday 10 August 2014 – chosen to be close to the start of the inglorious grouse-shooting season and on a weekend to allow as many people as possible to attend. The aim is to have legal, peaceful and media-friendly public protests across the north of England. I have been talking to those nice people at Birders Against Wildlife Crime and we are working closely together. The North West Raptor Protection Group has also settled on 10 August as the day to hold an event in Bowland so it is likely that there will be some event that you could attend in Lancashire, Yorkshire, Cumberland, Derbyshire and Northumberland. Nature conservationists are on the move. It is time to stand up and say – indeed shout! – that this illegal killing must stop. It's in the diary. Keep us posted. Just heard that a game keeper has been employed to kill crows at Geltsdale. Most of them have young now so will die in agony in the nest and I need them alive to feed my Goshawks which other keepers are trying to kill! One Goshawk nest in Cumbria had 70% crows as food for their young. So you are going to have a protest meeting here at Geltsdale hopefully in time to save my Goshawks and crows! Hope you have reported those trying to kill 'your' goshawks to the police John! What a great pity, and a completely missed opportunity, that the date being suggested is outside of the Grouse Shooting Season! For this Hen Harrier protest to be successful and to command attention it should surely be aimed at disrupting, peacefully of course, those people who are responsible for driving the perceived need for illegal persecution of birds of prey. Those parties will simply keep their heads down on Sunday 10th August, smile smugly to themselves and clean their guns ready for the Glorious 12th, just two days later. I doubt that many journalists will be minded to give up their Sunday off to cover this event either. You would do well to remember the mass protest on Kinder Scout in 1932. This Hen Harrier event must be more than a few hundred already converted people standing around being preached at by a couple of minor celebrities. There'll only be one real chance for this type of action to succeed so may I respectfully suggest that this idea needs significant further careful thought and re-planning. Vicki - thanks for your support. This is a great idea. I was also wondering if, with the recent advances in civilian drone technology, we couldn't deploy drones above 'problematic' grouse moors to monitor the activities of our grouse shooting chums 24-7. Since they are completely law abiding they'd have nothing to fear of course. Good idea, but they may need to be armour plated to withstand assault? With Mark's experience and expertise on odds/evens etc. he might even be able to raise funds for Bird Life Malta? Hen Harrier drone recovered with greatest lead content, Buzzard next perhaps and so on? VJP: I suspect Mark, like Packham has his media contacts and surely it's all about profile and message? Opportunities are what you make of them and I suspect that there will be a fair bit of imagination as well as passion at play in early August. Oh, and Vicki, what are you organising or taking part in? Or are you just criticising people who are giving up their time and doing the best they can about this disgusting state of affairs from the sidelines while ultimately doing little or nothing yourself? Good idea. Perhaps the only way to get through to the arrogant new rich. Spring has arrived to the frozen north, I,ve just seen two swifts. Let me know the destination, my wife and me will come. The protests we held in Derby earlier in the year over The Sanctuary were really great since we were all of a like mind, met some old friends who came out of the woodwork to help and made some new ones too. Despite the constant rain (on both occasions that we stood outside the council house) the atmosphere was lovely...a real sense of people coming together to make their point of view known. So, if you are hesitating about taking part, don't. You'll enjoy the experience and commeraderie and, since the protest will be peaceful and legal, need have no worries about coming up against the law. Went on a protest 2 years ago on the 12th at Walshaw. Some very nice people but it amounts to nothing. I will come Mark to whatever you plan but in this country protests achieve nothing. Non violent direct action does. Unfortunately most people don't know what a hen harrier is let alone why they should be protected, we need to mobilise the apathetic masses. Brilliant idea! Awareness is so important! I work at The Devon Bird of Prey Centre and we would really like to support the day however we can, sharing info etc. How can we help? Shrops. Peregrine Group will be there on the day. Peak District. Exactly where will everyone be?